Have a bad case of the Mondays? Let me help you turn that frown upside down with a good ol' fashioned Giveaway! Because honestly, who doesn't love free stuff? 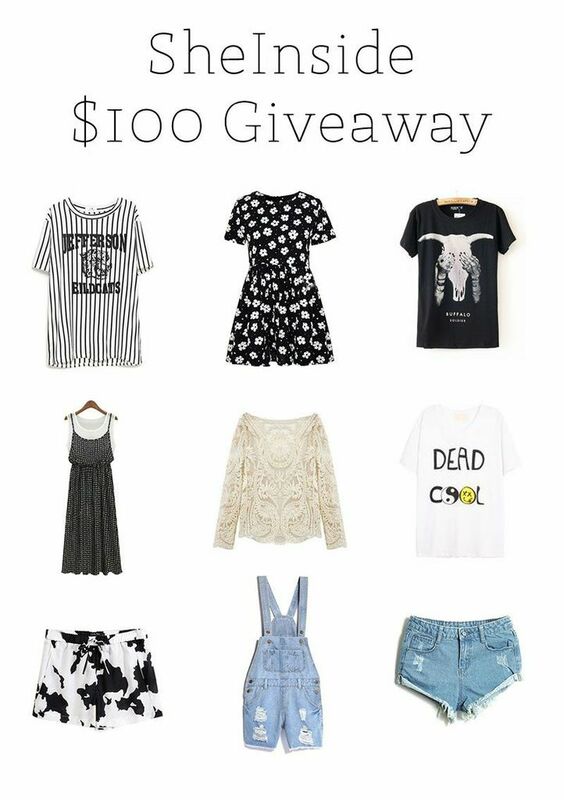 SheInside is giving one lucky gal $100 to spend however her heart desires. For your chance to win, just complete the mandatory steps which unlock the non-mandatory steps. (Pssst...the more steps you complete, the better your chances of winning!) Ain't no thang. Here are some of my picks that I think would look real nice hanging in your closet. The 15 day countdown starts...now! Love this shop! Such a good giveaway!! Oh my god I love this giveaway! Love it! And you're beautiful! Great picks! These would definitely be at the top of my list if I got picked!